The following is a guest post about mortgage. If interested in submitting a guest post please read my guest post policy and then contact me. Changes to UK mortgage lending rules have come into force this April – and these will have implications for first time buyers hoping to get a foothold on the property ladder. The new legislation entitled the Mortgage Market Review (MMR) requires all applicants to provide detailed evidence of their income, which includes up to six months’ worth of payslips, up to six months of bank statements, any overtime or bonus payments, and more. Lenders want more than just reassurance that applicants can pay the loan back – they now need proof. The extra checks should help to avoid situations where homeowners have failed to calculate the total cost of either buying the home, or planning for running costs, resulting in them struggling to cope with looming repayments. David Hollingworth, a mortgage broker working in London told The Guardian customers are going to have to be a lot more prepared, to be successful in their applications. The new rules came into force on Saturday (April 26) following the Bank of England’s increased focus on the mortgage market, with the introduction of the “Help to Buy Scheme” back in October last year. Only time will tell whether or not these new regulations will help or hinder the health of the market, but with the average house price rising by 0.6% last month, the risk to lenders is becoming greater and greater. The Money Advice Service (MAS) has put together a mortgage checklist, designed to help people be prepared and gather up any documents or information they may be asked to provide a lender. You can have a look it on the graphic below. If you’re struggling to work out if you can afford a mortgage, MAS also has a mortgage calculator which you can try out online. The calculator takes into account the size of the loan, the interest rate as well as a host of other statistics and reveals the true cost of the mortgage. It’s a useful tool in working out your income against your monthly outgoings. I live in the US and just went through the whole buying a house and getting a mortgage process and it was pretty crazy here. Bank statements, pay stubs, etc etc etc. I’m not sure if it’s always been like this or if requirements became stricter after the housing burst though! If you’re self-employed it’s even more difficult to secure a mortgage! I’m not in the market to buy any property at the moment but after reviewing the requirements for those who are self-employed; it’s a bit discouraging. That’s a nice checklist to have. Buying a home can be an overwhelming experience so having a checklist like this is a great thing so that you can account for everything. I know when I was buying my house, I overlooked a few things. I have not applied for a mortgage for over 15 years, but I know the lenders relaxed a lot of their requirements in the mid 2000s and got hit hard by all the defaults. They then tightened their lending requirements to where you had to use your first child for collateral and not many people could get a loan. Those requirements have recently been loosening quite a bit in the U.S. I have been hearing of 5% or less down payment loans, as well as 40-year loans. That is just dumb. 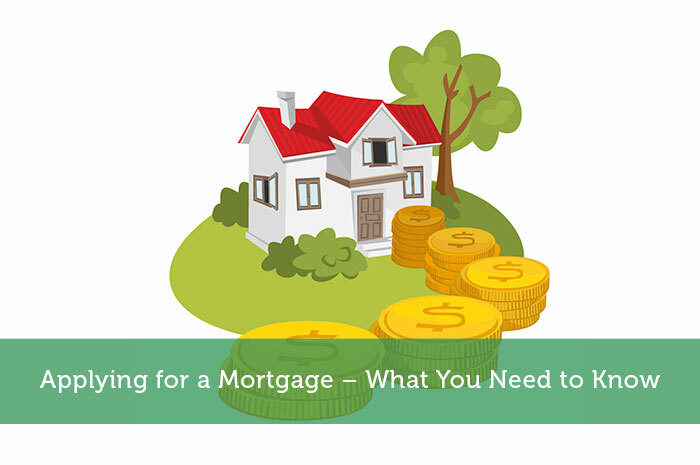 If you are self-employed like myself, applying for a mortgage can be a bit more difficult. Beside the items listed above, your tax returns (both personal and business) will be needed to process your mortgage application.